Shinedown is inching closer and closer to the release of their new studio album, “Attention Attention,” and the guys have debuted another new song off the set. Following the release of the album’s lead single, “Devil,” Shinedown has unleashed a song called “The Human Radio,” which is available at all the usual digital outlets. The music video for the track is streaming now on YouTube. The video for “The Human Radio” shows a world of human obsessed with their smart phones. In the clip, shots of the band rocking out live are mixed with images of people seemingly glued to their phones. Watch the video below. So far, Shinedown has released two music videos for songs off “Attention Attention”: one for “Devil,” and the other for “The Human Radio.” The band plans to unleash a new video for each song off “Attention Attention,” so there’s lots to look forward to for Shinedown fans. “Attention Attention” will arrive on May 4. 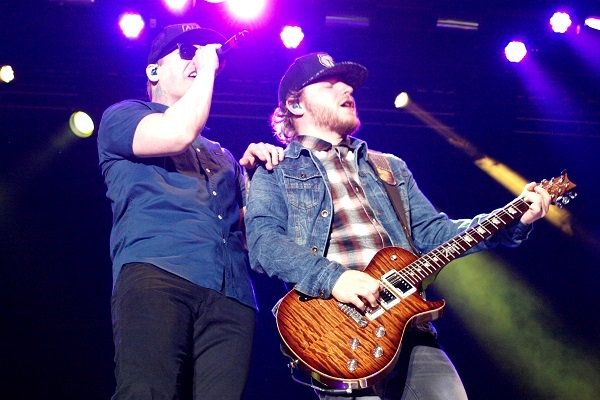 Shinedown has tours plotted throughout the spring and summer months to support the record, including co-headlining runs with Five Finger Death Punch and Godsmack.